Students will learn how to react to the outbreak of fire, take appropriate measures for the safety of personnel and of the ship, and use firefighting appliances effectively. The two day basic course consists of classroom lectures, demonstrations, and hands-on experience in the areas of fire chemistry, fire classification, prevention, protective clothing, portable extinguishers, breathing apparatus, fire behavior and attack, and advancing small hose lines. Students will experience live fire on both days of training. This course meets STCW95 and tankerman firefighting certificate requirements. Building on the two days of basic training, students learn search and rescue, ventilation, large hose line handling, confined space rescue, multiple story firefighting, and advanced firefighting tactics and strategy. 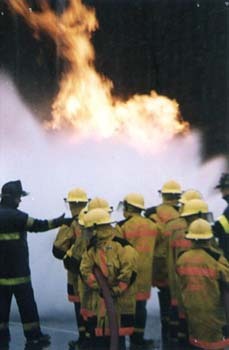 Students will spend large amounts of time in live firefighting. 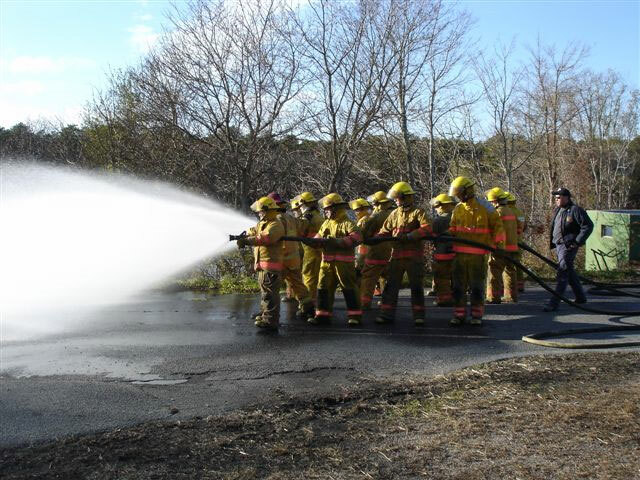 This course meets STCW95 firefighting requirements for upper level licenses. 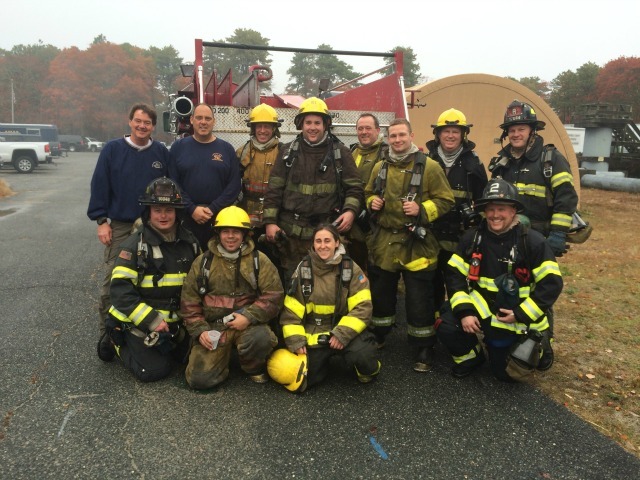 All firefighting courses are held at the Barnstable County Fire and Rescue Training Academy, Cape Cod, Massachusetts. Certification: Upon successful completion (attendance and passing required exams), you will receive a New England Maritime Certificate of Training. Cancellation Policy: Deposits are refundable if written cancellation is received more than 14 days prior to course start date, less an administration fee of $100 and the cost of books. Cancellations made 14 days or less from the course date will forfeit full deposit plus cost of books received. A student requesting a move to a future class will be assessed a $100 fee and cancellation policy will remain in effect as of original class date. A full refund if class size minimum is not met.